Arts and Crafts Directory Find the right Arts and Crafts for special needs. If you have a budget pay below the average cost for all your arts and crafts. Just search Listings in your Local Area with our Arts and Crafts Nationwide Directory. Get involved in your creativity and through your local area searching listings for Arts and Crafts. With nbtrade.com.au Online Arts and Crafts Directory, Let us do the hard work for you, with our focus being the North Coast of NSW and the Gold Coast your Arts and Crafts needs will be met in a few clicks and scrolls. 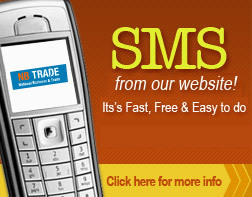 Email or SMS straight from our Arts and Crafts directory. Don’t be bombarded with misleading advertising, confusing claims and simply bad information. Nbtrade.com.au provides all the information you need. From Contact details to specialties. Helping you source Arts and Crafts with any budget and of the highest quality. Look no further Nbtrade.com.au with the best and the most popular in our local area.